Share a laugh,or inspirational message with Fridge Magnets! Inspirational and funny magnets make ideal gifts and stocking stuffers during the holidays, too. Take advantage of our "Buy 3 Get 1 More Free!" offer, and decorate your refrigerator or file cabinet with colorful and unique magnets featuring funny, Christian, and animal themes! 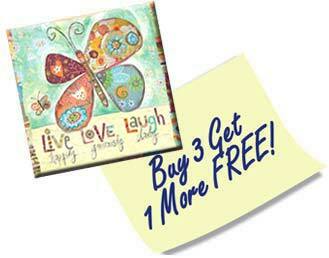 Buy 3 Refrigerator Magnets and get 1 more Magnet FREE — any combination! Bright, colorful images with amusing or thoughtful verses.